Less is More. That happened to be true in this recipe’s case. 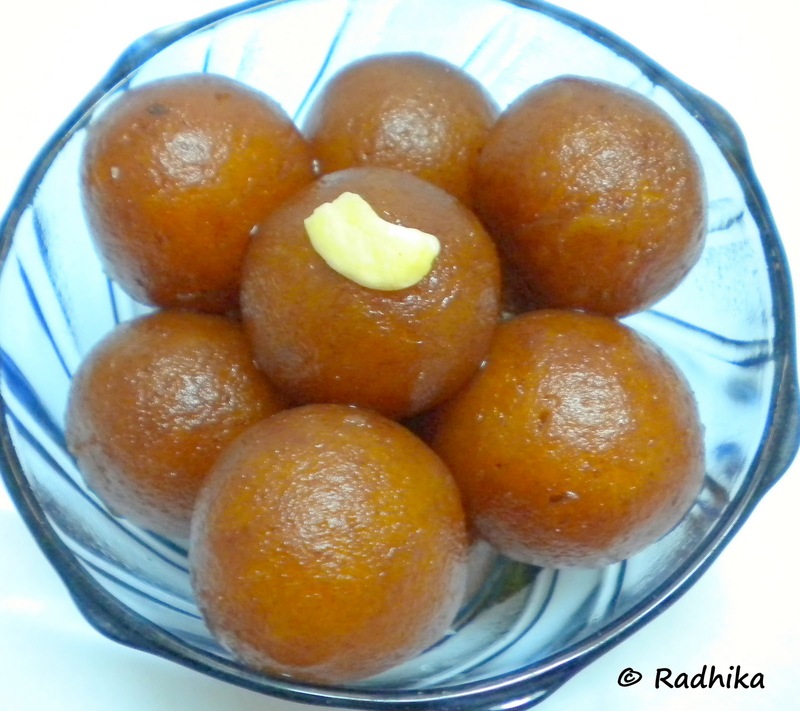 Yesterday when my kids started their demand for a sweet I just could not say no though I had lots of paperwork to do. I did want to leave in the middle and spend an eternity in making the sweet. It had to short, simple and quick. Well this recipe fits the bill in all angles. Here is the recipe. Remove the brown edges of the bread slices. Place the slices in a deep vessel and pour water over. Immediately take them out and give them a hard squeeze to remove all water. Knead the bread mush to a soft and firm dough. Mean while take the sugar in a vessel and add water till the sugar is immersed. Mix well before lighting the stove. Boil the sugar syrup till you get a sticky consistency. While boiling add cardamom powder. Heat oil in a kadai. shape the bread dough into small round balls. 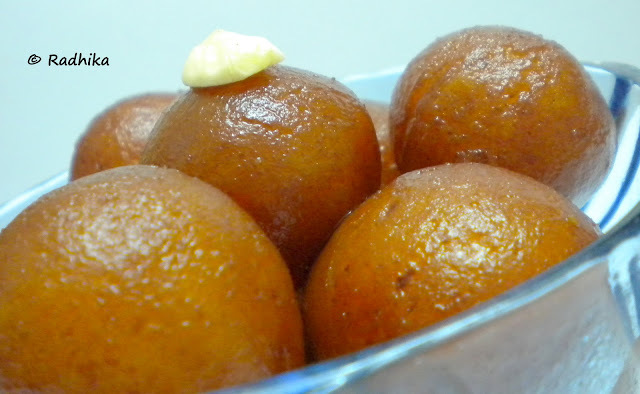 Add the balls one by one into the hot oil and deep fry them to a golden brown color and drain on an absorbent paper. Cook over medium flame and check the oil temperature, else the balls will get cooked on the outer but remain raw in the middle. Put the balls into the syrup and let it soak for at least an hour before serving. You can also serve it chilled. This sounds super simple and super delicious! Bookmarking..thanks for sharing this wonderful recipe! Glad you like it Raji. Thanks for the quick response to both of you. Soo soft to see and sure is very tasty…. wow radhika! first time here n loved ur version of jamun.. awesome! will try to participate in ur CBB event.. love to follow u! lovely dish radhika- looks great! ThnX ! Radhika for dropping by.. 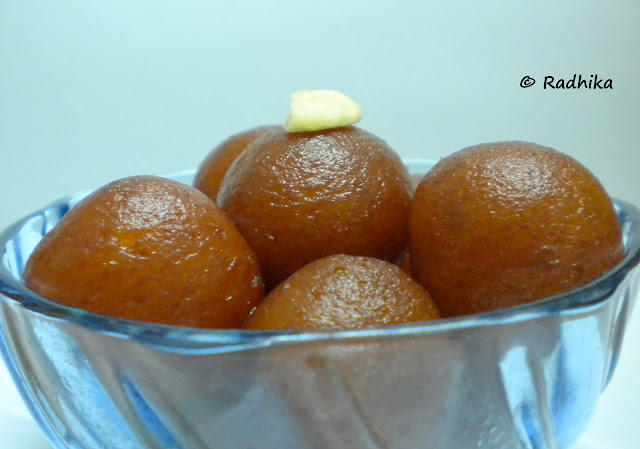 Bread Jamun sound new to me..it looks extremely delicious..feel like having one right now.. I am first time here,your blog looks wonderful.Lovely and soft bread- jamoons , Great idea, thanks for sharing this great recipe. I like to invite you to visit my blog. I’m a new blogger and visiting your blog for the first time. Its really good. Bread jamoons recipe is very quick and easy. I’m going to try this very soon. What a treat! 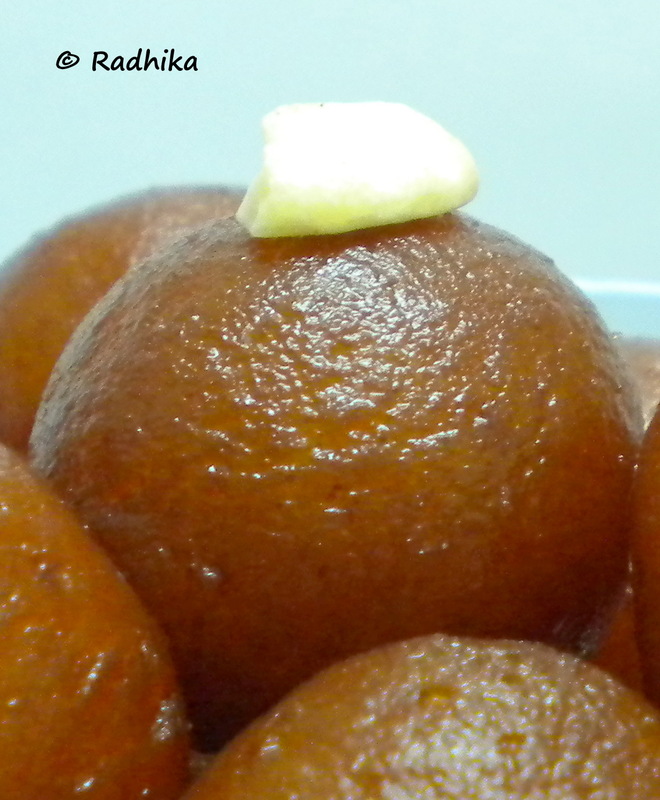 Looks like a no-fuss version of gulab jamuns, yum. Hi Radhika, Just now I saw one in Kurunji’s blog, Long time back I made these (when I was in 10th standard!) only with crusts though, they look absolutely delicious, beautiful clicks.. These looks so gorgeous… Perfect shape and color.. Looking great and a different one to try out..